Kenroy Home 50040BL Flat Rock Outdoor Floor Fountain, Black Slate Finish | Fountain City Art Ctr. 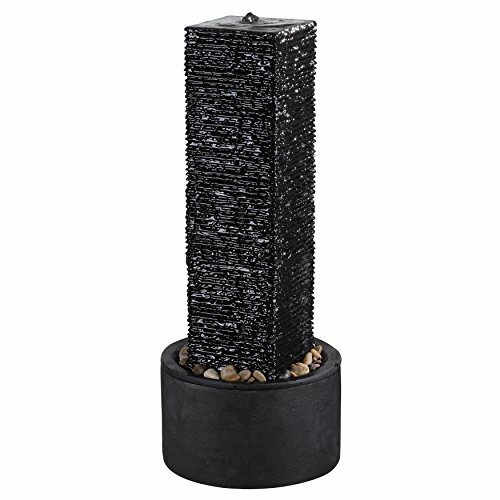 Flat Rock Outdoor Floor Fountain stands at 37 Inch high and is finished with a Black color. This floor fountain will make a presence in your home and will be appropriate for any season. For outdoor use; Length: 15.00 in , Width: 15.00 in , Height: 36.00 in.